Museums' mission statements are changing. Besides preserving, displaying, and disseminating outstanding works of art, history and science, they also need to be open spaces of participation; to be a modern agora that welcomes their community and encourages dialogue. The Web 2.0 allowed people to actively engage in participatory learning and entertainment, and increasingly, more people want to do more than passively consume information. Peer recommendation has become the primary source in the decision making process, instead of professional reviews and paid advertisement. While different sectors have long embraced this revolution (Wikipedia, blog publishing, Amazon and Yelp reviews), there was a need to create a participatory platform for museums: a virtual space where museum visitors can share their experiences and knowledge. Unique Visitors is a result of three years of conceptualization and prototyping. Its development follows user centered methodologies (design thinking, fast prototype, agile development). Every iteration was tested, analyzed, and improved according to visitors' needs and responses. Our goal was to create a useful platform that facilitates participation. In its third and final iteration, Unique Visitors is a participatory platform where museum visitors can be the curator and create their own tour guides inside the museum collection. It was published in the beginning of 2016, in collaboration with the Museu Nacional d’Art de Catalunya. In this paper we will talk about what we’ve learned in the previous iterations, our current metrics, and what strategies were more successful in order to achieve visitors' participation. In the National Museum of Catalonia, the museum is conceived as a social space for knowledge and participation for multiple audiences. Today, not only can the museum professionals explain the artworks, but so can the visitors. The visitors can provide new perspectives and a fresh approach to the collection. This project revolves around the idea that we can all be content curators, we can all create our own narrative or itinerary, and, most importantly, we can all share it. The narratives and the connections can be many, and open to our imaginations. The era of the passive consumer is gone: with the explosion of digital and social media, many want to be active users and have a say. We, the museums, need to facilitate this by offering visitors as much diverse content and as many platforms as we can, in order to engage and help them make meaningful connections with our collections, their histories, and the stories behind them. This is exactly what we achieve with this participatory app, Unique Visitors; the fruit of the collaboration between a startup and the museum. This collaboration started with a pilot program. The startup wanted to create a participatory app for multiple museums and they needed an organization to work closely with to make sure the development would answer the museum’s real needs. Support from The National Museum was pivotal for the project for several reasons. Its collection data (a large volume of 1,800 artworks on display with content in three languages) was ideal to test the platform. The museum space was used for experimentation (face-to-face events) and also dissemination (screens and displays at the museum hall, museum website/blog and social networks). Additionally, the museum was important for the validation of each step in the development, providing useful feedback to improve the product. The project was led and executed by the startup, which was in charge of the creative and technological development from conceptualization to development and user testing. 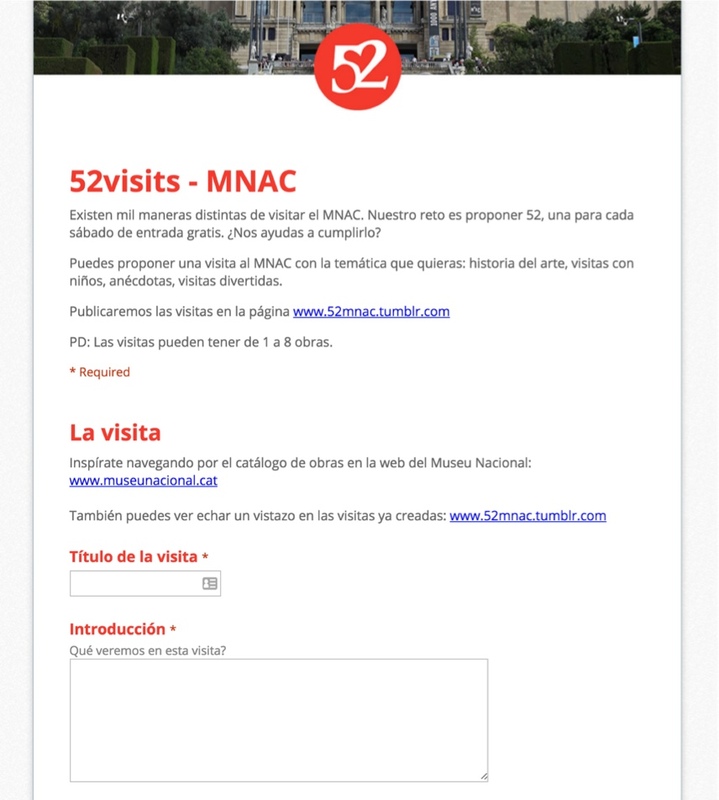 Unique Visitors is a digital platform where users can create and share their own tours for visiting the museum. The project takes advantage of the museum collection data and allows visitors to use the artwork records to create their tours. Even though it is a technology-based project, it is not technology oriented per se. It is not a project about sensors or devices. Instead, it uses technology to activate the wisdom of crowds. It is based on concepts such as crowdsourcing knowledge, engagement, and community building. A digital project is not finished when it is published. This is especially true on participatory projects, where the creative cycle is only completed when users join in. In this paper, we will talk about the different strategies used to undertake the project, as well as the results, mistakes, and what we’ve learned in the process. To better analyze this project, we organized the strategies into three main groups: the product, the dissemination, and the incentives. We will also point out the different project development methodologies used, such as Lean Software Development, Design Sprint, and Rapid Prototyping. When we first launched Unique Visitors, it didn’t look like the version you can access today. This is the result of different user tests and continuous improvements based on the audience feedback. The development methodology we used is called Lean Software Development and consists of frequently releasing different iterations and evaluating them to validate hypotheses such as demand, target audience, adoption, and even product-related decisions like features or UX elements. It is a popular product development methodology among startups because it reduces the risk of investing time and resources for developing an expensive product only to ultimately learn that it doesn’t answer the target needs. A core component of the Lean Software Development is the Build–Measure–Learn (Repeat) feedback loop. In Unique Visitors we released three different iterations that were tested with real audiences to validate different hypotheses. Some of them succeeded and some of them failed, and that helped us improve. In this chapter we will talk about those iterations and what we learned from them. The very first iteration was a simple mobile app (for Android only) as a proof of concept. Our goal was to test if our idea, that more experienced visitors could create tours to guide other visitors inside the museum, was well received by both museums and visitors. With this MVP (minimum viable product), users could complete the full cycle: create tours or view tours created by others. 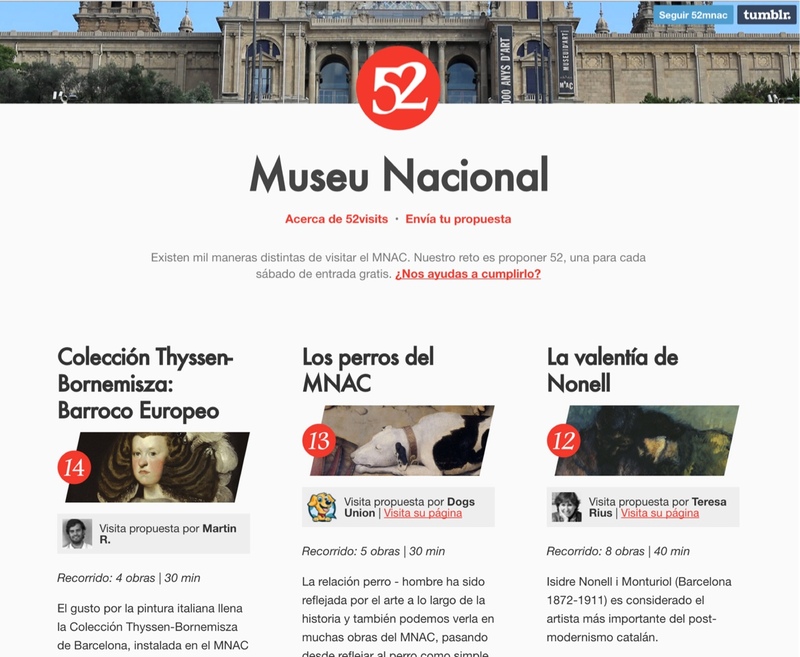 We uploaded information of 60 different artworks from the National Museum and each user could use them to create their own custom tour. Even though we didn’t advertise this app, we had approximately 500 downloads and 20 tours created, which lead us to conclude the app was interesting for the audience. In user interviews the general feedback was positive but some of the critiques gave us valuable insights. One key component of this version is that users could make personal comments to each artwork they added to their tours. Users were also free to add artworks in the order they desired. We believed those two features were essential for storytelling. In this version, no user used the text field (except for testing). In latter interviews, we learned they didn’t feel comfortable writing on the mobile device. Letting users creatively rearrange the order of the artworks on a tour generated an unexpected issue. When authors created a tour, they didn’t think about the artwork’s physical location inside the galleries. When other people wanted to follow their tour, they were led to different rooms in random order, having to go back and forth in different floors. That bad experience outweighed the value we believed the order had for the storytelling. On our second iteration, we aimed for something completely different: we wanted to test if the quality of the tours would improve on a website, as opposed to the tours created on the mobile app. We also wanted to test if the museum database was an essential feature for the users and if it really helped to create tours. This prototype was a website built with Tumblr that presented all tours created. Users could submit a tour through a Google Form, so no code was required to build it. When a user submitted their tour, we would manually research the images and transform the information received into an HTML page. This technique of prototyping is called a Wizard of Oz Experiment. To avoid the costs of developing a complete system, we replace some features with manual work from “behind the curtain.” The goal of this experiment was to validate that users would write better quality tours, rather than to measure the quality of an entire system. During the experiment, 14 tours were submitted. What caught our attention was the quality and creativity of the content created, compared to the previous version. Some tours were based on art history, sectioning special periods or artists featured in the museum collection. Other tours had a more creative approach, establishing new relations among artworks from the collection, like tours about animals, food, or fashion. One great example is the tour about dogs in the museum collection. Instead of talking about art history or the evolution of styles, a user decided to talk about the evolution of our relationship with dogs, from medieval age to modern times, as it is portrayed in paintings in the collection. 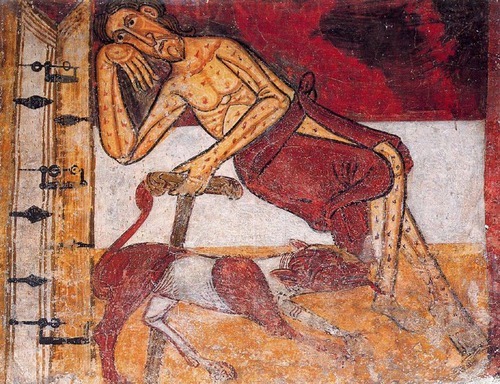 Medieval paintings show dogs as ferocious or marginalized animals, but we can see them gradually getting closer to society. 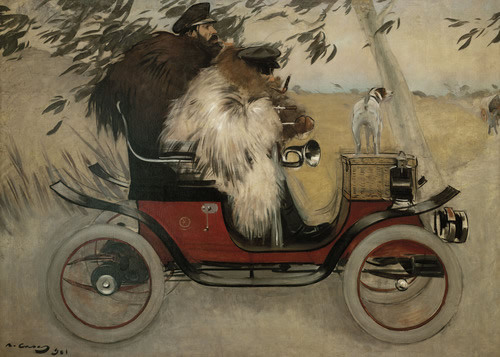 In the 20th Century, a painter decided to represent his dog inside his car in a self-portrait; he is a member of his family, just like nowadays. We were able to validate that a website version can facilitate the creation of better quality content. Tours exceeded quality expectation, proving that people are willing to create original content about museum collections. By removing the museum database, we were also able to validate its importance. Without a database, it was a lot harder to convince people to participate. Less people felt compelled to create content, and it took longer to get to 14 tours. In later interviews, users said that having to search for information felt like work instead of fun. Several potential users were afraid to participate because they were afraid they would write something wrong or silly. The website was also not engaging. There was a very high bounce rate (80%) and, even though it was responsive, only 2% of the traffic came from mobile devices. We knew it had usability issues that we would have to improve. The two previous iterations gave us the security to make better decisions when we designed the release version, and having data from real user tests was also very helpful to finding the resources needed to fund its development. The release version is multiplatform: a common engine serves the mobile apps (iOS and Android) and a fully responsive website using a REST API. That way, we were able to optimize each platform to one target audience: the website is optimized for creating content (at home) and the mobile apps are primarily designed for consuming content (at the museum). Our goal with the website version was to make it extremely easy for anyone to create a tour. Since we had previously learned the museum collection database was essential to make people feel comfortable creating content, we integrated the complete museum database: approximately 1,800 artworks with their corresponding image and metadata. Having to deal with a large number of artworks, we designed a predictive search that suggests results from the database according to the first characters typed. Releasing the final product doesn’t mean the testing phase is over. We continued making adjustments to see how they affected the engagement. One of the most important changes was to test different levels of interaction. Asking for people to create a tour is a big ask. Even though we were successful making this task a lot easier, it still required some effort not all users are willing to make. Forrester classified Internet users according to their level of participation, from more to less active: Creators, Critics, Collectors, Joiners, or Spectators. To allow a larger number of users to interact, we had to create different levels of participation. Other interactions we added in this version were: follow users, like tours, comment tours, and share tours on social networks. We were able to validate the importance of the major changes and features introduced in this version. During a beta-tester meeting, a dozen new tours were created. In previous versions it took us months to achieve the results we were now able to obtain in one afternoon. The museum database proved to be essential. In interviews, users said having a reliable base from which they could build on made them feel more confident. The database content also released the users from the duty of writing content: some people prefer to just select artworks without actually writing something for each artwork. In fact, only 10% of the tours published have written comments in the artworks. We found that the user interface was very helpful and inviting when creating content. The predictive search and visual results encouraged users to discover interesting items they didn’t know were at the museum, resulting in a more diverse and creative outcome. With a more user-friendly design that has more ways of navigating and more interaction possibilities, this version also proved more effective for the ones that just wanted to consume content. We were able to detect a deeper engagement on the website, reducing the bounce rate to around 48%. The pages per session metric increased to 5.04 and the average session duration increased to 3:15. The new interaction levels were well received and gave a voice to the users that don’t want to create content. All interaction possibilities are being used (following, liking, sharing) except for commenting tours created by other users, which was surprisingly not embraced by the users so far. Having a solid technological platform with a good interface and a validated user experience is a good start, but any development needs users. The dissemination is a very important element in any project, especially the ones that are based in participation. The museum has a pivotal role when it comes to dissemination, being it physical displays or digital (website, newsletter, social media and screens onsite). Our best source for app download is a physical display at the National Museum entrance. Those users fit in the Spectator profile. They browse content and even rate tours, but they won’t create a new one. Content creators are usually referred from the organization’s website. When the organization puts the link on their homepage, we can see the direct effect of increases of new tours. When Unique Visitors worked with São Paulo International Arts Biennial in 2016, 40% of new tours came from users referred from their homepage, while 25% came from Facebook. 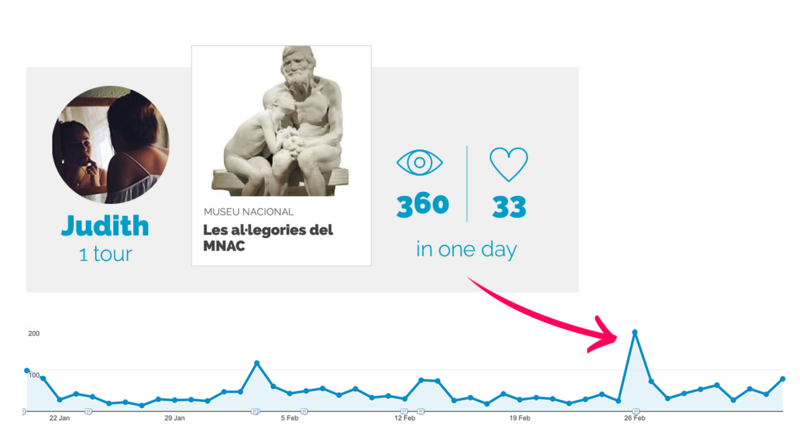 This metric implies that users that create high quality content are already within the museum’s reach, and they are using Unique Visitors as a channel to broadcast their ideas: to have a voice. Social networks, on the other hand, are the best source for viralization; they are responsible for 33% of the traffic. They are also a great way of diversifying the audience: when users share the content they created, the museum collection reaches a completely new audience. A great example of that is Judith, a single user responsible for a peak of additional 360 visits to the website in one day. When Judith shared her tour on Facebook, she brought more visitors than any other social media post, including the museum’s. Finally, there is the more personal communication. During the past year we tried two kinds of face-to-face events: presentations at universities or other educational centers, and events at the museum hall. In both cases, our main goal was to boost content creation. Even though it had some positive results (showcasing the platform and informing about the app), the actions required a considerable amount of work, time, and resources, and showed scarce increase on content creation. The difficulties in having people create content made us ask, what makes someone create content for free? Online reputation is one answer. To encourage it, we created a user page where users could present themselves, including a space for their URL and the ability to follow and be followed by other profiles. The organization’s recognition is also highly valued by the users. It doesn’t take much to recognize talent: just a tweet from the museum account about a tour created by one user can go a long way. However, things only get better when we add other incentives to the equation. The best conversion for creating new tours was a contest, also organized in partnership with the National Museum. The awards were inexpensive for the museum, but had a great value for visitors: catalogues, annual passes, and the most valued award—to be a guest blogger for the museum’s blog. [With Unique Visitors] the collection becomes a block of marble which can be shaped according to individual preferences. 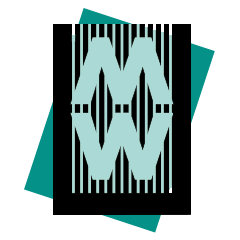 One can get hooked on a game and at the same time access the art collection in an active way, practically as a virtual curator. It turns out that an art collection is not in any way an established discourse, complete and immobile. 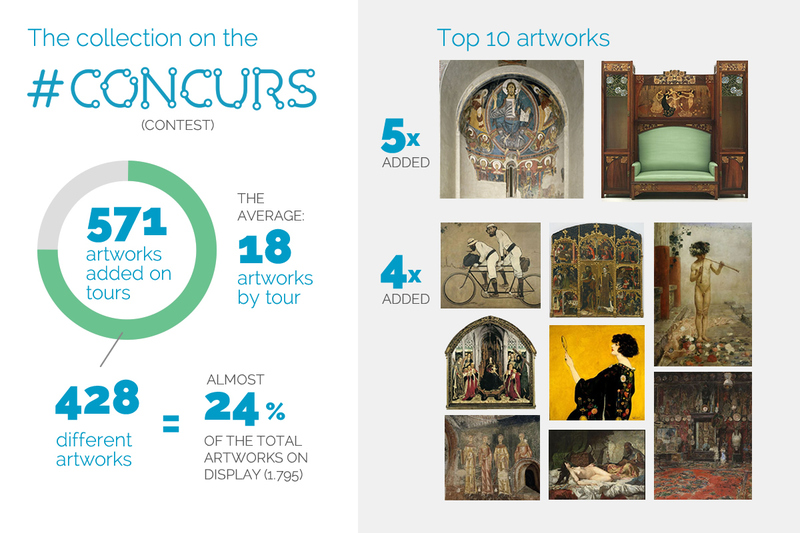 During the contest, 24% of the artworks on display at the National Museum were added to new tours. This metric indicates the creativity of users: when the museum gives them variety, people will go deeper than the usual highlights. In addition to the awards, the best conversion rates are also connected to urgency: tour creation peaked on the last week of the contest, when two thirds of the new tours were published. Offering users a new way to approach and enjoy the collection. User generated content: a large variety of tours based on different levels of expertise, taste and cultural background. Getting new insights about the audience via crowdsourced recommendations. People really helped find varying connections among the artworks. Encouraging new audiences to visit or geting current visitors to repeat visits for more tours, thus increasing engagement. For users it means a positive, fun, and enriching way of accessing the collections. Visitors were offered the point of view of other visitors as well, lowering the barrier to access knowledge that sometimes academic or expert information may create. Overall, the museum’s goal of enhancing the visitors’ connections with the artworks was achieved well. The most important outcome of a user generated content project is to discover and to offer a new (fresher and more personal) approach to the museum collection. The app has won several awards, such as the Apps & Culture Award in Barcelona, where the jury emphasized the innovative concept. It also won the most important recognition: Best App by public vote. Participation is not easy to achieve. When working on a participatory project, it is crucial to identify possible barriers and find ways to eliminate or reduce them. Digital projects are ongoing projects and should be in constantly improved. Remember the Lean cycle: Prototype, test, evaluate, iterate. To succeed, pay attention to this combination: User Experience (product, platforms, content), dissemination, and incentives. Knapp, J. (2016). Sprint. London: Transworld Publishers. Ries, E. (2011). The Lean Startup: How Today’s Entrepreneurs Use Continuous Innovation to Create Radically Successful Businesses. Crown Business. Surowiecki, J. (2004). Wisdom of crowds. New York City: Doubleday.
. "Crowdsourcing content and improving visitors participation: a case study of Unique Visitors platform." MW17: MW 2017. Published January 31, 2017. Consulted .